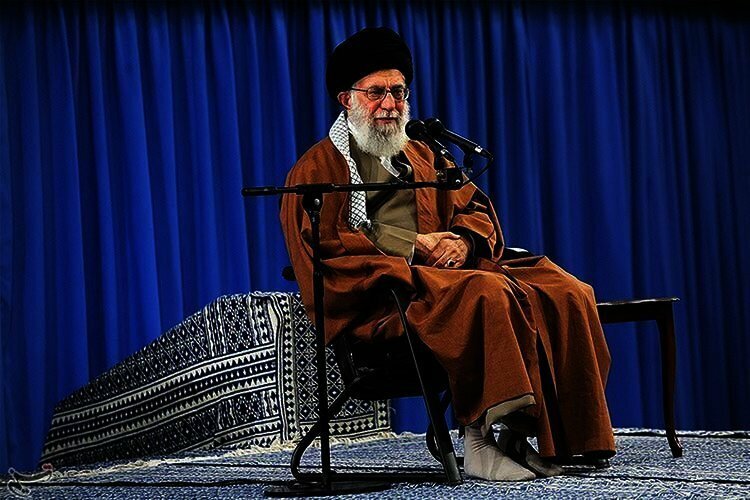 In a message published by state-run media, Iran’s Supreme Leader said that the regime was “ready to correct its mistakes” but added that the regime was not willing to revise itself. Khamenei also repeated more of the same in Iran’s relationship with the US in his lengthy message. “With regard to America, no problem can be resolved and negotiations with it have nothing but economic and spiritual loss,” Khamenei wrote. Iranian media advertised Ali Khamenei’s message from a few days from before saying that it was “an important” message for “the 40th anniversary of the victory of the revolution” which heralded a “new phase for the Islamic Republic”. The message was published on the same day as the Warsaw Summit, with some saying that it was an attempt to overshadow the US led summit for peace in the Middle East. Ali Khamenei said that during its 40 years, the Islamic Republic had not been “brutal and bloody” and that it had not “committed extremism”. This was probably in reaction to renewed concerns about the execution of thousands of political prisoners during just one summer in 1988, on orders of the founder the Islamic Republic, Ruhollah Khomeini, and the ongoing systematic torture and imprisonment of Iranian dissidents. The leader of the Islamic Republic attempted to stay true to his reactionary principles with his usual stubbornness; the same principles that critics consider to be the cause of the regime’s utter failure in its domestic and foreign policy. He also exaggerated the regime’s accomplishments without bringing forth any evidence. Accomplishments such as that the Islamic Republic was “the most successful state in the world in the relocation of services and wealth from the center to all over the country” and that the regime’s religious extremism had “flourished everywhere, especially among young people”. Overall, Khamenei did not put forth any tangible solutions for the plethora of crises that the regime was facing and repeating his usual slogans, made his 40th anniversary message not so important. Forty years after the revolution that brought the Islamic Republic to power, Ali Khamenei is known as the person responsible for the regime’s status quo and ugly report card. However, his message failed to shed any light on the current and future state of the Iran indicating that he had no solution to save his dying regime.